In this book, Mercado and Laub explore 7 essential disciplines for business (Envision, Believe, Plan, Lead, Communicate, Market, and Sell) providing 7 insights for each. The authors also provide a system called the “Power of SEVEN” as a stimulus to assist the reader in drawing the most value out of each insight. The intent is to take the reader deep… expanding the confines of traditional thinking… into a state of awareness which the authors call… “The MindStretch”! I highly recommend adding The MindStretch to your personal business book library and use it to stimulate your mindset for success! The MindStretch masterfully wraps up the coaching I paid dearly to obtain over a 4 year period. Mindstretch is packed with words of wisdom on each page. It is the sort of business book to leave by your bedside and reread many times, gleaning and consolidating exactly what you need. The authors do a great job at distilling the business cycle into practical steps. 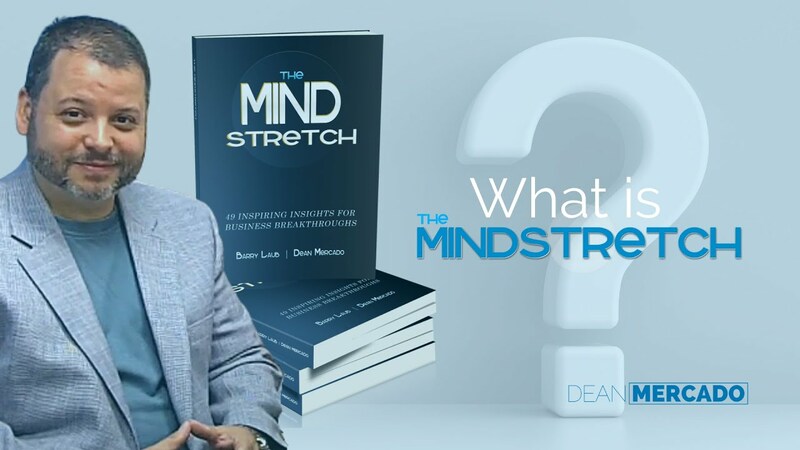 The MindStretch is a book that should not be missed by business owners, business coaches and all entrepreneurs. The authors use tremendously innovative ideas that will help all readers increase their business. I was especially impressed by the reinforcement of being disciplined particularly in the areas of leadership and communication. I will have all my attorneys read The MindStretch to help our practice grow! Very concise and well written. Two people whose insights you should seek out to implement in your daily lives. I recommend it. I have worked in corporate America for 20+ years and wish I could have read this book at the onset of my career. Not only is it the perfect guide for a successful career, it is a guide that can be utilized by all individuals in everyday life. The “Power of Seven” is a must use system in achieving professional as well as personal goals. Simple yet extremely effective! Highly recommended! The Mind Stretch was brilliantly conceived and written by two talented businessmen. It combines sage professional information with spiritual principles…the perfect combination to success. Read it in one sitting or pick it up and turn to any page and find incredible information. I’m using it as my Daily affirmations for success! And, the icing on the cake is “Epilogue Your Move!” It offers step-by-step insights to provide continued value from The Mind Stretch. A must read. Co-Founder and CEO of Online Marketing Muscle, is a well-respected marketing coach, strategist, author, and speaker with expertise on helping service-based businesses nationally increase their visibility, credibility, and reach within their target market. President of Infinite Resources, Inc. is a highly sought after business visionary, strategist and entertaining motivational speaker. Barry’s transformational leadership is known for taking businesses and individuals from where they are to where they want to be.